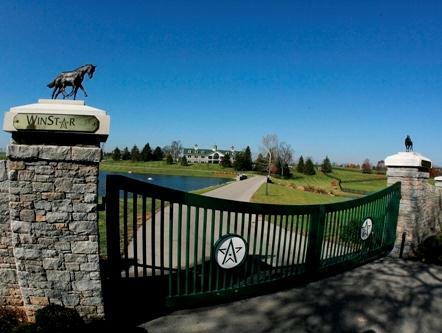 WinStar Farm is auctioning off memorabilia on Ebay.com with 100% of the proceeds going to designated industry charities. The online auction, which includes four separate offerings, began late Tuesday and will close next Wednesday, May 29th. The feature item is a commemorative 24x36 Revolutionary shadowbox with contents that include a Kentucky Derby saddlecloth with the No. 3, a Revolutionary photo image, autographed goggles worn by jockey Calvin Borel, the official silks tag from the Kentucky Derby draw autographed by Borel and trainer Todd Pletcher, a shoe worn by Revolutionary in the Kentucky Derby, two official Kentucky Derby programs and a Kentucky Derby glass, and a Revolutionary button. All proceeds from this unique offering will benefit the Woodford County Humane Society. The auction also features authentic, worn halters from top WinStar stallions’ Super Saver, Bodemeister and Tiznow, with respective charities Heroes Night Out of Kentucky, Grayson-Jockey Club Research, and Backside Learning Center receiving the proceeds.